Fresh from a $750,000 funding round, Dysonics has big plans to “revolutionize” the way we experience sound today. Dysonics’ patented technology is apparently based on 15 years of audio research by a team led by University of California, Davis Emeritus Professor Ralph Algazi Ph.D., scientist Richard O. Duda Ph.D. and Chief Technology Officer, Robert Dalton Jr.
One of the first products of their work is Rondo, an iOS app developed at the University of California, Davis technology incubator, known as the Engineering Translational Technology Center (ETTC). Rondo proclaims to “upgrade the audio experience” available on headphones, making it comparable to listening to audio on high-quality loudspeakers – so you’ll get more depth, subtlety, and variety, as though you were listening to the audio in, say, a large auditorium or recording studio. Delving a littler deeper, it seems the main issue, according to Dysonics, is that most audio is designed to be listened to on stereo speakers. And by positioning the speakers at a pre-determined distance apart, this helps to create a sense of space and depth. 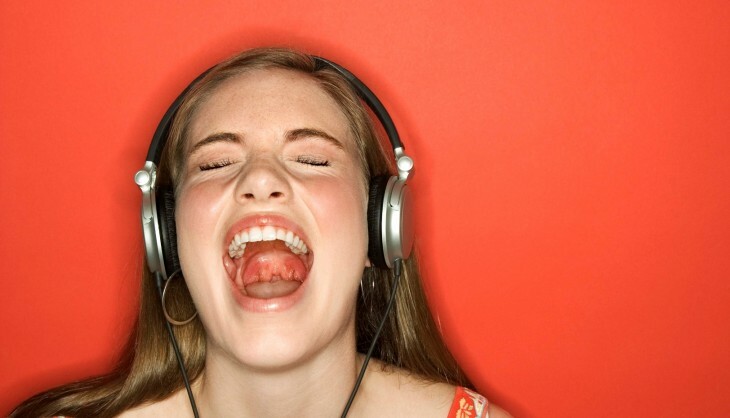 Headphones, on the other hand, deliver two sound channels that go directly into the listener’s ears, without the acoustics of a room being taken into account. And this is where Dysonics comes in to play. The company’s technology uses algorithms to bring realism to the audio by recreating the sound qualities that would have been present if the listener was to experience the sounds in a dedicated listening room. First up, it’s worth noting that Rondo is actually a nice music player in itself, even without considering any enhanced audio benefits. When you first launch the app, all your tunes will automatically reeled in from your device. When you play a song, you’ll see a pretty attractive, three-ringed shimmering interface which lets you tweak the audio settings. The inner circle makes you feel like you’re in a smaller room, the middle ring is designed to replicate a medium-sized space, while the outer circle is your concert hall. 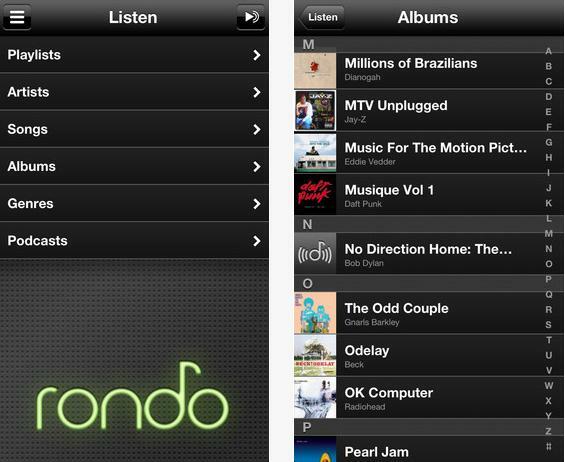 You can even switch Rondo on and off, to get an idea of what effect the app is having on your music. 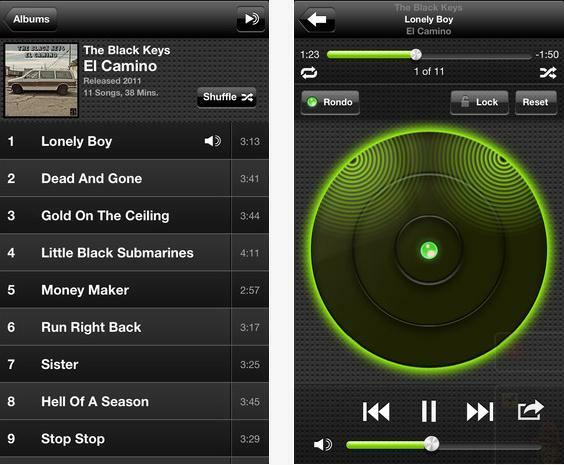 The company says that further developments to upgrade the quality of sound are in the pipeline for next year, and it’s worth noting that music apps such as Rondo are only one application of the underlying technology – there are plans to expand into markets such as gaming, teleconferencing, and location-based navigation services too. Our initial test-drive revealed a very nice app, and the sound quality is a cut above other music players out there. Though it’s probably fair to say that this will only really appeal to audio-aficionados, and the bundled iPhone music player will likely suffice for many less-fussy music fans. It’s also worth noting that Songza recently partnered with Audyssey to launch a similar feature. Songza unfurled the new Audyssey Media Player (AMP) technology in an updated version of its app, designed to improve the audio experience for listeners on any pair of headphones. AMP acts as a sort of gateway between a Songza playlist and the listener, sending the optimal signal designed specifically for their headphones of choice. Rondo is available to download for free from the App Store now, though it will likely cost to download sometime in the future. Other formats will be launched in due course, with Android likely next on the agenda. Meanwhile, check out the official Rondo promo video below.